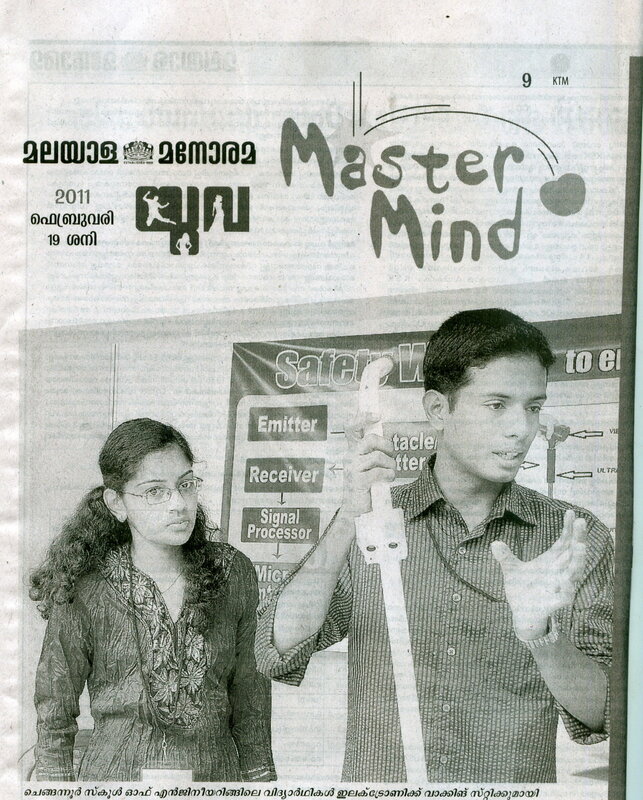 “Master Mind” is a venture of Malayala Manorama to find the new talents in the student community and their projects with social vision. Two students from CEC – Jerry J Martin and Linda Ann James – made CEC feel proud with their innovative idea of Electronic Walking Stick that can sense pits and obstacles winning the BEST PROJECT AWARD in Master Minds. His Excellency the former President of India Dr. A P J Abdul Kalam presented them the award including a cash prize of Rs. 1 Lakh. This project was done under the guidance of Mr. Manoj Kumar, Lecturer in Dept. of ECE, CEC. 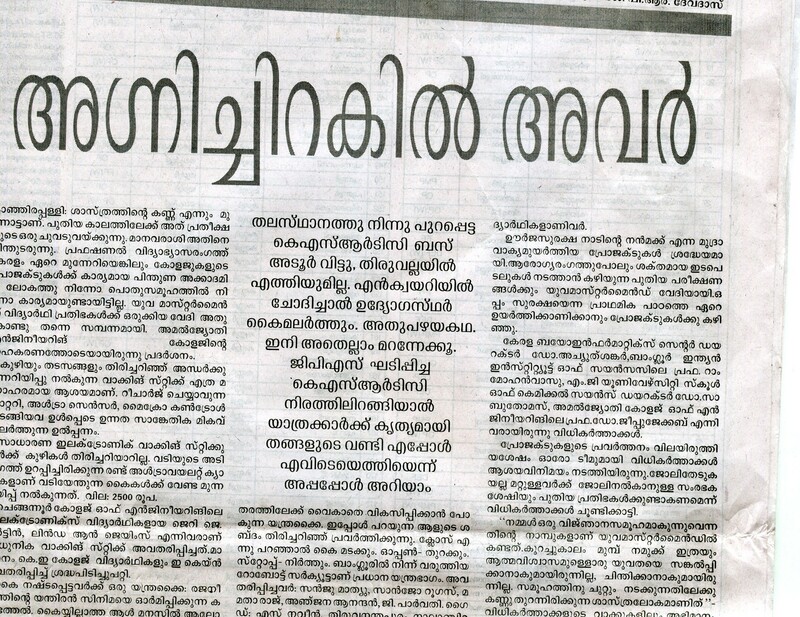 The item caught much attraction in the venue, and was detailed in Malayala Manorama daily Dated 19th February, 2011. This wonderful stick consists of a rechargeable battery, ultra sensor, microcontrol, etc. The two ultraviolet cameras fit on the bottom of the stick is that helps it identify pits and obstacles. News covered in the daily is given below. This entry was posted in 2012 Batch, Achievements of CECians/CEC, College of Engineering Chengannur, Other, Video/Audio/Photos of CEC, WORKS OF CECians and tagged A P J Abdul Kalam, CEC, College of Engineering Chengannur, Jerry, Kalam, Linda, Malayala, Malayala Manorama, Manorama, Master, Master Mind, Master Minds, Tech, Walking Stick. Bookmark the permalink.